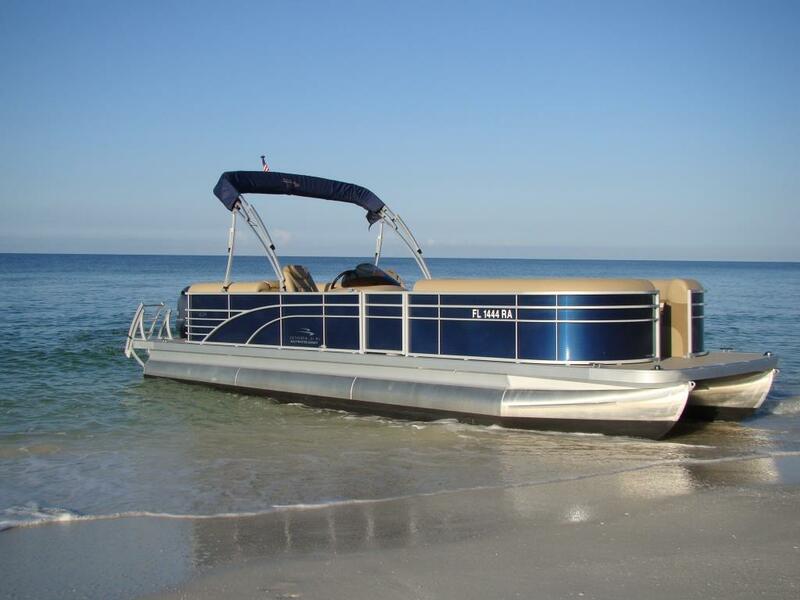 Our 25 GSR Bennington Pontoon is possibly the nicest pontoon rental boat you will ever find. 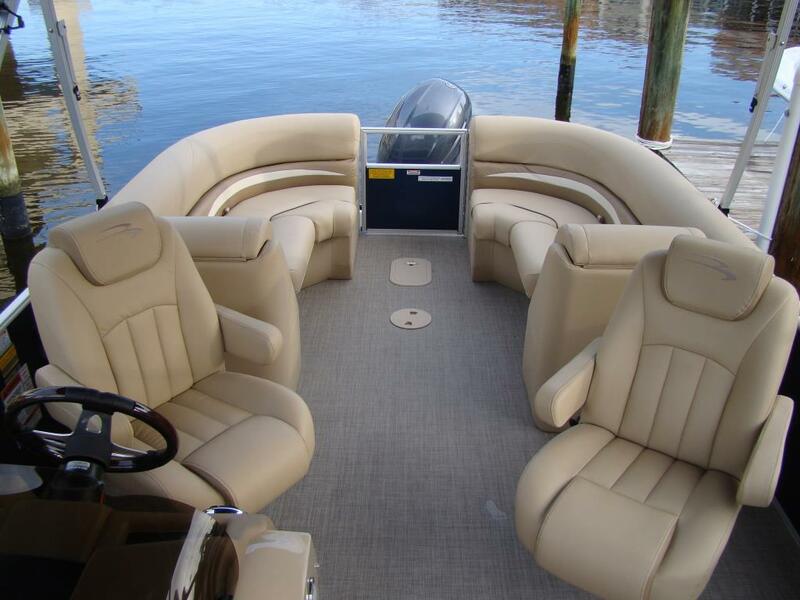 Room for up to 10 adults and a powerful Yamaha 150 four stroke motor. 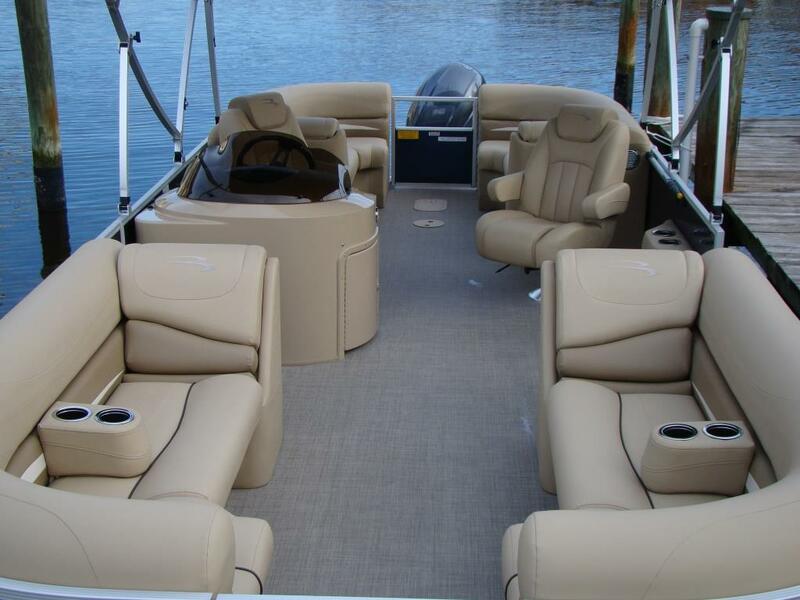 Two large comfortable captains chairs, extra large 11′ bimini and a Kicker Blue Tooth stereo system. 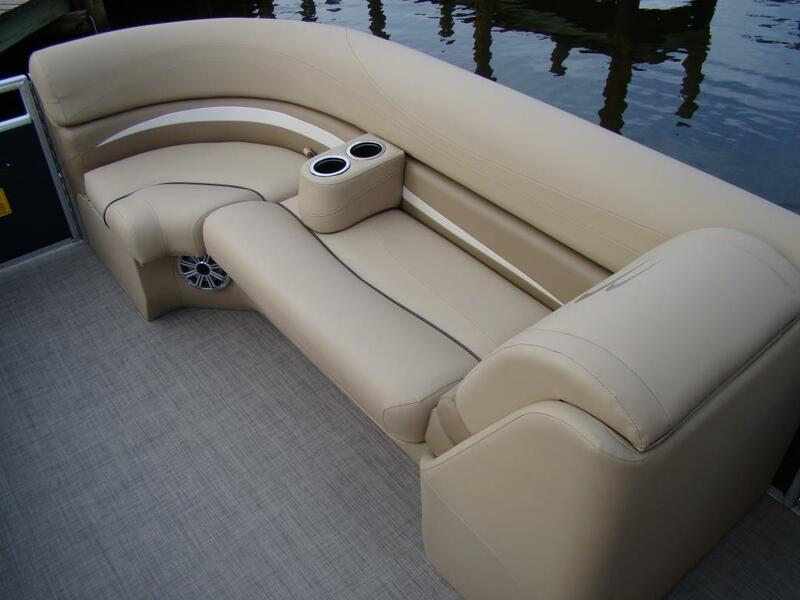 This boat is sure to turn some heads when you pull up to Keewaydin Island for the day. 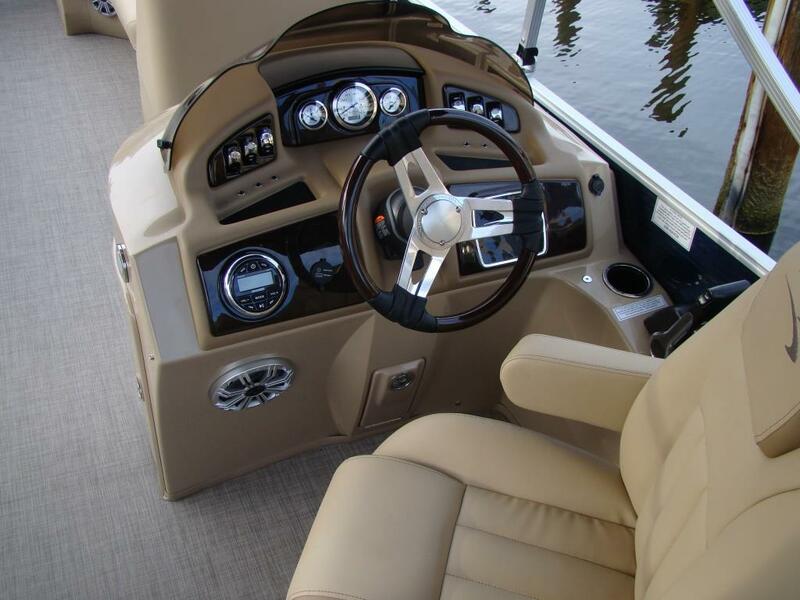 Please keep in mind that pets and fishing are NOT permitted on this boat. Thank You!